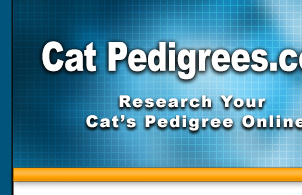 Cat Pedigrees , CP for short, debuted in July 2003 and is the brain child of Lee Harper and Kathy Durdick. Lee Harper is the founding editor of PandEcats.com, the first online breed magazine, and ShowCatsOnline.com, the online magazine devoted to all breeds of pedigreed cats. Lee also raises national and regional winning Persians and Exotics under the Mockingbird name. A professional writer, photographer and website designer, Lee continues to combine her passion for words and images with her love of felines. Kathy Durdick is one of the "founding mothers" of PandEcats.com and ShowCatsOnline.com. In 1994, Kathy and husband, Jon, began Ristokat Himalayans. While maintaining a small breeding program, Ristokat has enjoyed considerable success in the show ring, including multiple regional winners and several DMs. 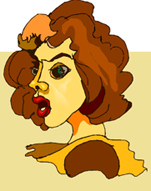 In 1997, Kathy combined her computer science degree with her artistic talents and began Ristokat Web Design. Kathy is responsible for each database on CatPedigrees.com, including the programming necessary to make each one searchable. How did the idea of CatPedigrees.com come about? When Martha Kohlmeyer of Odin Persians passed away in the spring of 2003, her best friend, Eileen Bertie, and her cousin, Charlotte Rosenbaum, knew that Martha's wanted to share her extensive database of Persian pedigrees. They approached Lee with a request - Could Lee somehow include the database on the website of PandEcats.com? The request acted as a catalyst for an idea! Instead of simply adding the database to PandEcats.com, Lee and Kathy decided to create an entire website especially to preserve and share pedigrees for all breeders and for all time... and so it was that CatPedigrees.com was born. 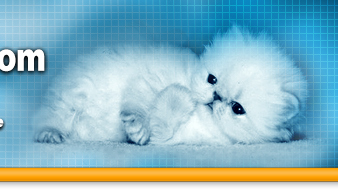 We'd love to design YOUR cattery website!